In the deal size of Rs 200-250 crore, the partners will pay Rs 125 crore outrightly for brand licensing and are likely to have nearly 10 years of right to use the Gionee brand. Gionee has been repeatedly denying facing hurdles in India since the day it was reported to be on a sticky pitch due to fund crunch on the home turf. But David Chang, Global Sales Director, Gionee India had painted a rosy picture saying that the company will stay and is in the middle of the process of rejigging the India operations in a bid to be more aggressive in 2018. Almost four months after the statement, a report by The Economic Times has quashed all the tall claims saying that the company will now be selling its Indian arm to former Gionee India CEO and minority shareholder Arvind R Vohra, and promoters of handset maker Karbonn Mobile. Pardeep Jain, promoter of Karbonn Mobile’s holding entity Jaina Group, and Vohra have reportedly signed a letter of intent and non-disclosure agreement with Gionee Communication Equipment, parent company of the Chinese smartphone brand, for acquiring its 74 percent stake in Gionee India on Thursday last week in Hong Kong. The balance 26 percent in the company is already with Vohra, the report claimed citing three senior industry executives. The deal size is expected to be Rs 200-250 crore, including Rs 125 crore which will be paid outright for brand licensing. As a part of the deal, the duo will also pay a royalty to the Chinese brand. The Indian buyers of the Gionee are likely to have the right to use the Gionee brand for nearly 10 years. Vohra and Jain will reportedly do what the company eventually wanted to do. They will revive Gionee brand in India before the festive season in October and launch aggressively priced smartphones in mig-range segment -- the most competitive band in the country. For those unaware, the company decided to directly control the India operations in July-August last year and Vohra, who was Gionee India’s CEO at that time, stepped down after running domestic operations for almost five years. Due to 26 percent of the share, he continued as the Executive Director. Later in January, Chinese media reported that a local court has frozen 41.4 per cent stake of Gionee Chairman and Chief Executive Liu Li Rong for two years, reportedly due to the "gambling debts". The company was also reported to be facing huge financial crises and were unable to its suppliers. The news broke in the Indian media and Chang, who took the hot seat when Vohra resigned, said the company was just going through restructuring in the country. He added that the Chinese handset maker is geared up for a big splash in India with new smartphone launches amid a revamped strategy to be among the top five players in the country. In April, Gionee launched two mid-range selfie-centric smartphones -- Gionee F205 and the Gionee S11 Lite, priced at Rs 8,999 and Rs 13,999 respectively -- in India and placed them against the likes of Xiaomi Redmi Note 5 Pro (review), Asus Zenfone Max Pro M1 (review) and several other devices. Where is Gionee in India today? Gionee was established in India in 2012 and claims to have retail presence in over 42,000 stores, 600 exclusive service centres and a customer base of 1.25 crore in the country. The company makes/assembles handsets at a Foxconn plant in Sri City, Andhra Pradesh. Last year, it announced that it desires to invest Rs 500 crore in a new manufacturing/assembling unit in Faridabad, Haryana. The company has also been aggressively pushing for sports sponsorship. To increase its market share and expand its services, Gionee is also exploring the in-display fingerprint scanning technology and will also introduce wireless chargers by the end of this year. The company had 2.2 per cent share in the Indian smartphone market for 2017. 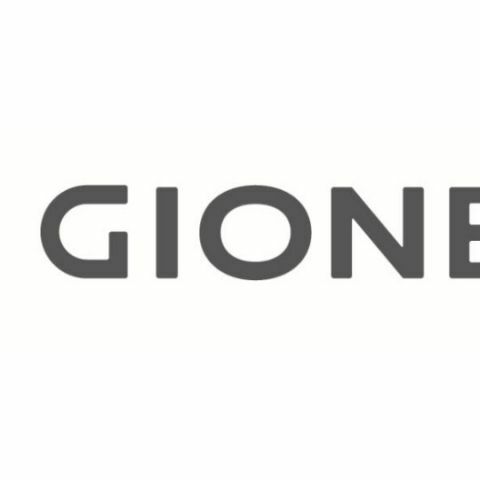 As far as the China market is concerned, Gionee, which has a market share of 3.3 per cent in China, shipped an all-time low of 150,000 units in the first quarter of 2018 with shipments down 90 per cent year-on-year, Counterpoint Research said. Is Gionee m2 a good phone?